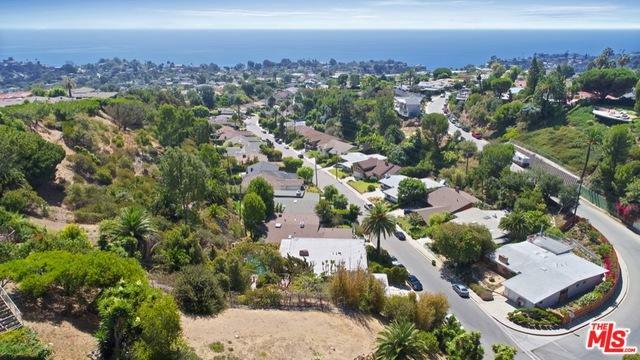 23,595 sq.ft ocean view LOT with no neighbor behind!!! 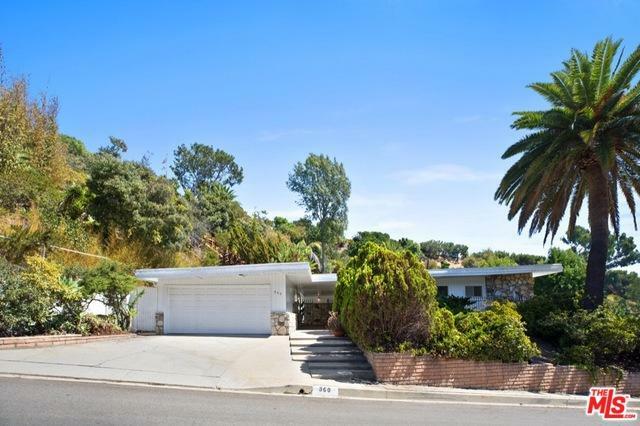 Mid-century single story 3 bedroom home perched up on a great street in Palisades. 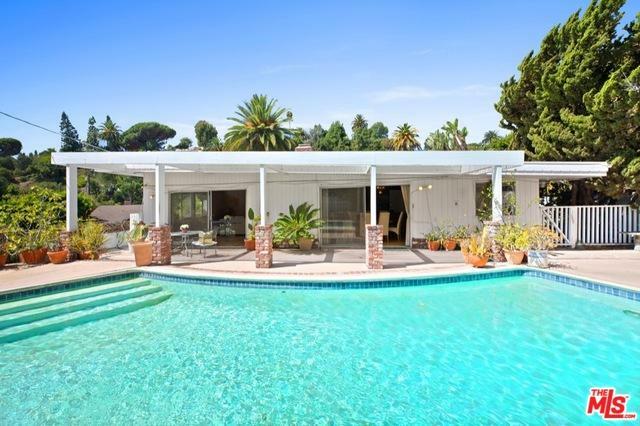 This property is on the market for the first time in many years and truly one of a kind. Ocean views from almost all rooms, patio, pool, and private hiking trails with lookout points on property . Home is over 1,800 sq ft in chic original condition that has been well-maintained with an open kitchen into dining area, fireplace in living room, multiple patios with amazing views, and detached 2 car garage. 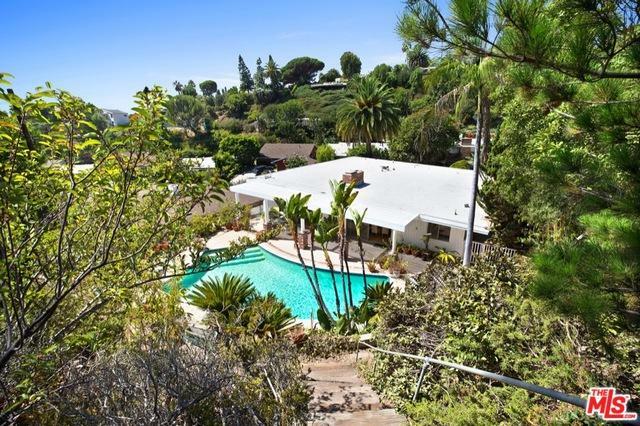 An excellent opportunity to keep the traditional floor plan or build in the Palisades area. Moments to Marquez Charter School, beach, hiking trails and new Caruso Village project. Beyond unique opportunity. Listing provided courtesy of Alison Betts of Douglas Elliman Of California, Inc..